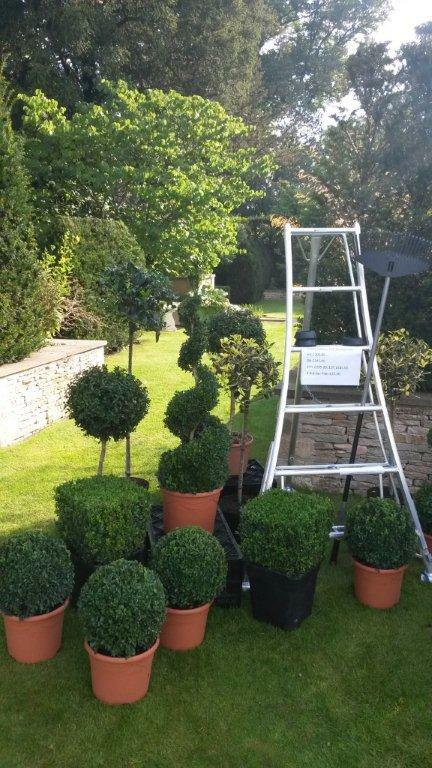 One of my many passions in gardening is Topiary which can play a very important part if not vital in giving a garden good structure during the summer season whilst maintaining interest and giving your garden a different dimension during the winter months with the effect of low Winter sun, long shadows, sprinkled with either frost or snow for extra effect. Thus I intend to develop over time a small but bespoke range of interesting pieces for sale, some in the traditional genus’s of Buxus (box) & Taxus (Yew) and the often forgotten Phillyrea. 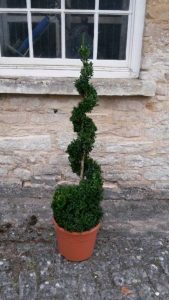 I am also looking to experiment with other evergreen and deciduous plant material not usually used to create Topiary to push forward Topiary into a new era. 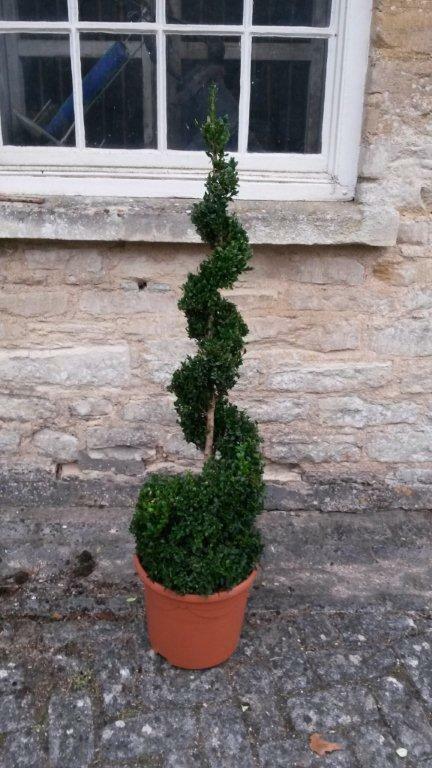 Under development will also be some new & interesting shapes in both my traditional and unique genus plant material I will be using. 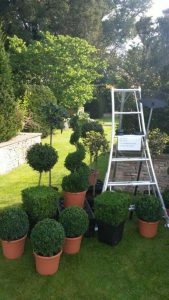 I also run Topiary Courses for either small groups or on a one to one basis and can even arrange for a course to be given as a gift to gardening friend! 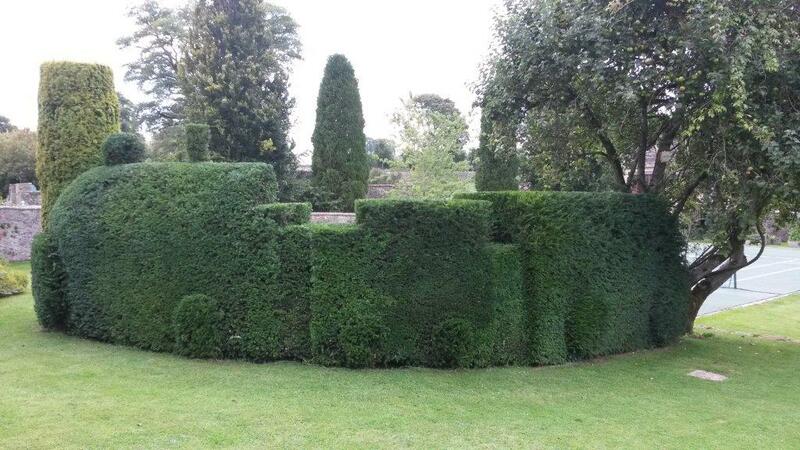 As well as courses I also give lectures and talks to Garden Clubs and other groups please email for more information.